Saint Mary’s is different. Here, January is the most exciting month of the year. We’re exceptionally old and brand new at the same time. The students talk and the professors listen. 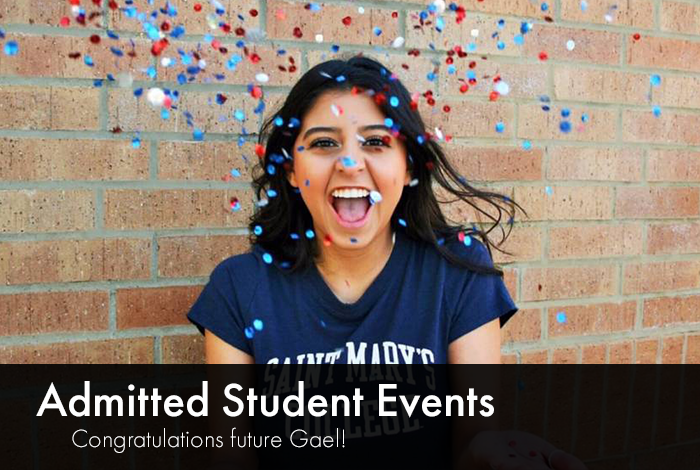 Of the hundreds of reasons students choose Saint Mary’s, yours is the most important. Over 50 Majors. Student Life. January Term. Collegiate Seminar. Retreats. Plus a million other things that make SMC special. Bringing it all together is our mantra of inclusive excellence where every unique and diverse viewpoint has a place to shine. Experience life at Saint Mary’s. You'll interact in class visits, sample the cuisine in Oliver Hall, live the residence hall life, and -- most importantly-- meet current students and learn what it means to be a Gael. Now accepting applications for Fall and Spring 2019. Start your journey now. You only need 23 credits to apply. If you have less than 23 credits, we may need to review your high school transcript and ACT or SAT test scores to consinder you for admission. 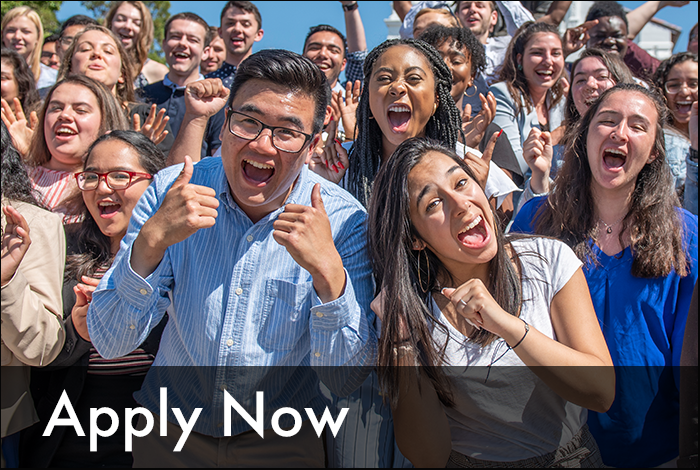 Welcoming International Applications for Fall 2019! 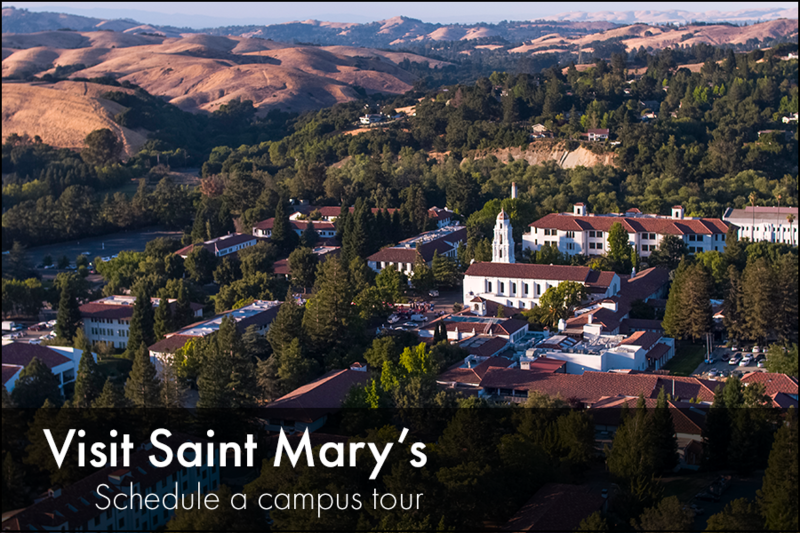 San Francisco's Bay Area is home to many renowned colleges and universities, but only Saint Mary's is distinguished as one of the 40 prestigious Colleges That Changes Lives (CTCL). Small class sizes and strong faculty support. Exciting opportunities in the Bay Area for internships and activities. Merit Scholarships are available for international students. For all the information you'll need to begin at Saint Mary's College, log in to your student portal or visit Your Path to Saint Mary's. Member of the class of 2023? Connect with other first year students on Facebook.